Time to Buy! Time to Sell! Don’t wait to own a home and never wait to live your dreams! There are many reasons to buy now, but the main one in my opinion is Interest Rates. The Fed will be raising rates again this year. Many experts think that the rates for a 30 year loan will be at least up to ot above 5% by the end of 2019. Right now in January of 2019 we’re still at a very low 4.5% for that 30 year fixed loan. Over a 20 year period on a simple $300,000 loan the interest you will save at .5% would be over $15,000 dollars! The other main reason to buy now is rising home prices. There is no way to avoid the rising cost of living except to buy now! 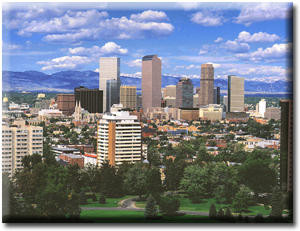 Home prices in the Denver and front Range areas are expected to continue to rise due to the desirability of our great city! For my sellers asking me about selling. Now is absolutely a great time to list that home. You may wonder why. If housing prices are going up, why should I sell now? Now is a great time to sell because more buyers have the buying power to purchase your home! Prices will rise, but the power of buyers to purchase will drop as the interest rates go up. The pool of buyers for your home will decrease as interest rates and home prices go up. You will want as many people with the ability to buy your home as possible so that you can get the very best quality buyer at the highest possible price! The larger the pool of buyers in the market the more competition there will be for your home. Days on market decrease with desirability of your home and location along with the number of people vying for your property.